A salt and Sodium Bicarbonate enema is powerful at killing fungai within the intestine especially candida albicans. Dr Simonchini’s has hypothesized that cancer is a the cell’s natural defense to fungus called candida albicans, and as such, responds to alkaline treatment (sodium bicarbonate). Dr Simonchini’s web site explains why he believes cancer is a fungus, and in particular, why he thinks it is candida albicans. Here are the Candida Cancer Connection videos to watch. 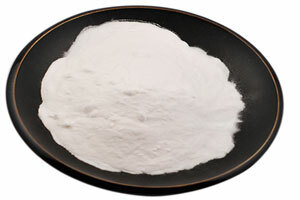 Sodium Bicarbonate is a component of the mineral natron and is found dissolved in many mineral springs. It may be the reason for the therapeutic benefits associated with minerals springs. Bicarbonate of Soda is also found in its dissolved form in bile, where it serves to neutralize the acidity of the hydrochloric acid produced by the stomach, and is excreted into the duodenum of the small intestine via the bile duct. The production of sodium bicarbonate is crucial to a healthy intestinal bacteria as it maintains a healthy ph level within the colon. Sodium Bicarbonate may also be used in an oral form to treat chronic forms of metabolic acidosis such as chronic renal failure and renal tubular acidosis. Sodium bicarbonate may also be useful in urinary alkalinization for the treatment of aspirin overdose and uric acid renal stones. You should not worry that because you have candida, you are in line for cancer because there are three grades of candida. Every human has candida cells it is only when it becomes systemic that it can become the cause of cancer. Superficial: thrush, skin and nail infections, etc. Systemic: Accompanies serious illness, e.g. cancer. Sodium Bicarbonate Treatment Cautions: Adverse reactions to the administration of sodium bicarbonate can include metabolic alkalosis, edema due to sodium overload, congestive heart failure, hyperosmolar syndrome, hypervolemic hypernatremia, and hypertension due to increased sodium. In patients who consume a high calcium or dairy-rich diet, calcium supplements, or calcium-containing antacids such as calcium carbonate (e.g., Tums), the use of sodium bicarbonate can cause milk-alkali syndrome, which can result in metastatic calcification, kidney stones, and kidney failure. If during this treatment you physical disturbance or pain, stop the treatment. If this information is true, and cancer is rooted in Candida, we need to take any Candida infection more seriously. Adding sodium bicarbonate to a juice fasting treatment may increase the bodies defense against cancer by reducing the Candida within the body. Dr Simonchini says that for Candida, sodium bicarbonate can be taken orally. 2. Take it for every day for one month: stop for two weeks; and then take it again for another month. Most people have baking soda which is sodium bicarbonate but it has aluminium which is detrimental to using it for treatment. You can buy sodium bicarbonate from most drug stores. Sodium bicarbonate is often sold as a remedy for indigestion. If you suffer from Candida try this remedy, then post the results below with as much details as you can. This treatment may act as a cancer prevention of be an effective addiction to a holistic or integrative cancer treatment. The Soda salt solution can also be used as an vaginal flush. For women the best results would be obtained with a combination of oral ingestion, daily enema and vaginal flush.